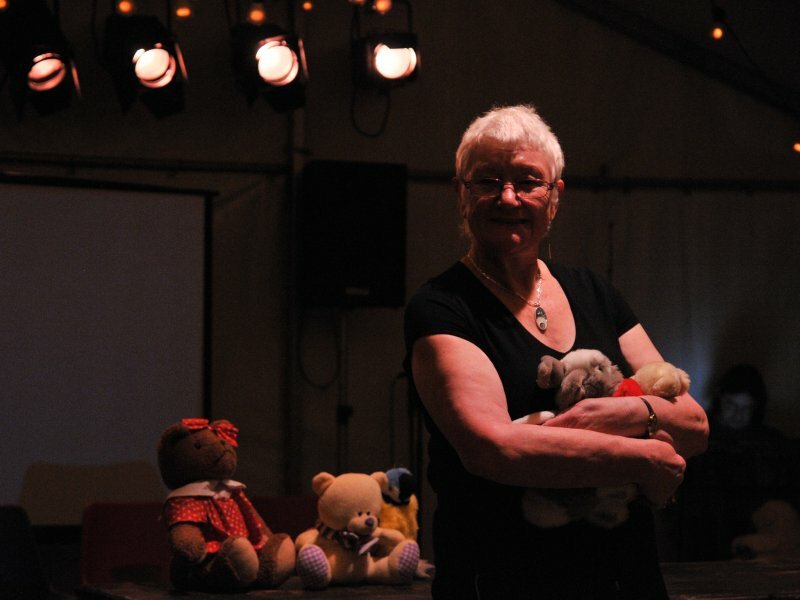 Old people, children and animals brought together 18 performers – 5 in their sixties and seventies, 3 teenagers, 2 four-year olds and 8 animals. With Old people, children and animals we aimed to continue to develop a number of recurrent areas of enquiry for Quarantine. We wanted to explore questions about responsibility – not only with those close to us, but also around our role in civil society. In a theatrical context, we wanted to look at how audience and performers share responsibility for the performance itself. 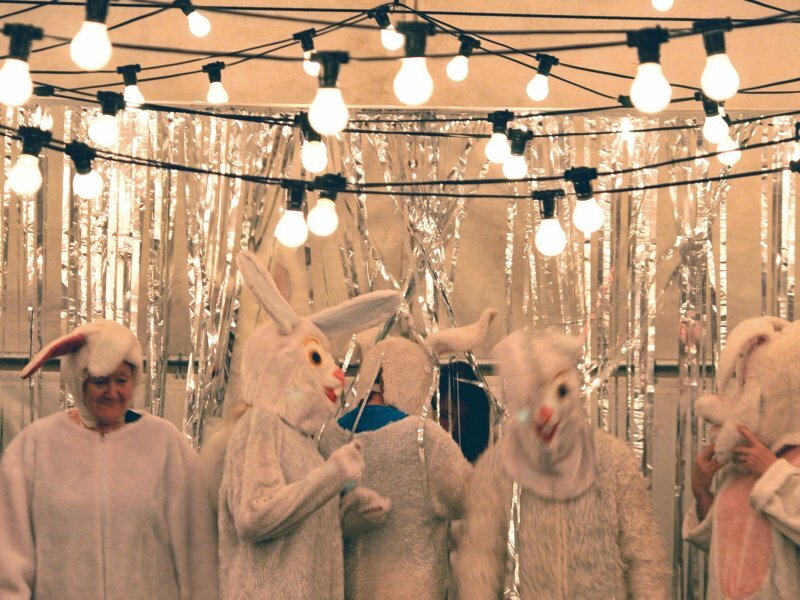 And of course, we wanted to challenge the theatrical axiom that we should “never work with children or animals” and through that the idea that there are groups of people who should be excluded from theatre-making. 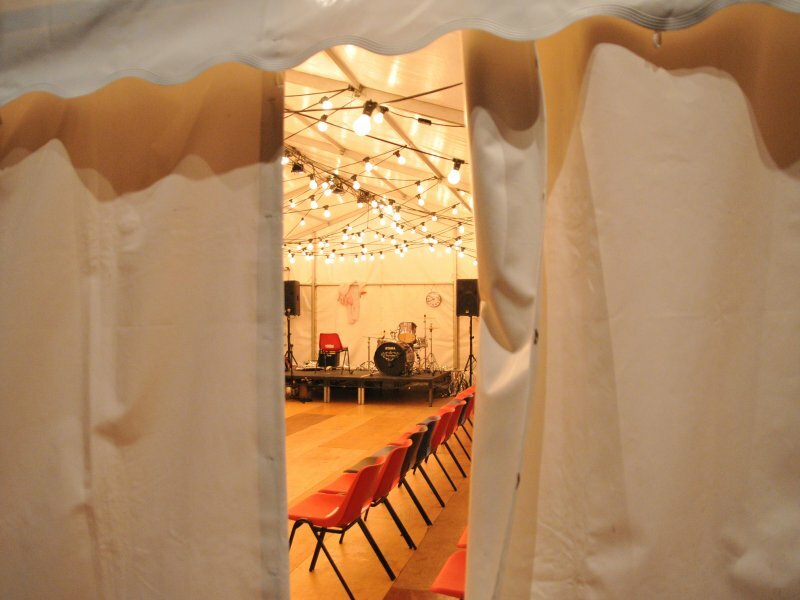 We recruited performers for Old people, children and animals through a series of contrasting visits to unsigned band nights and tea dances. 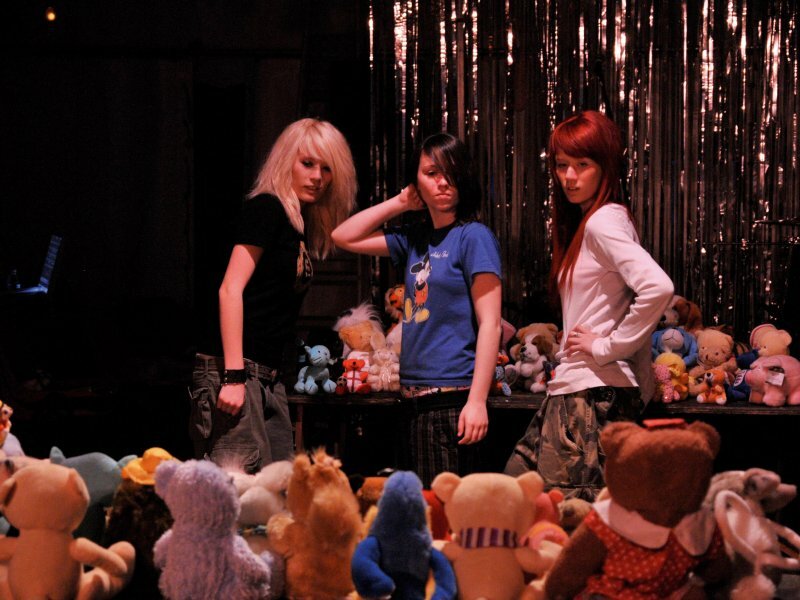 We found four women over sixty who dance and three teenage girls in a metal band. 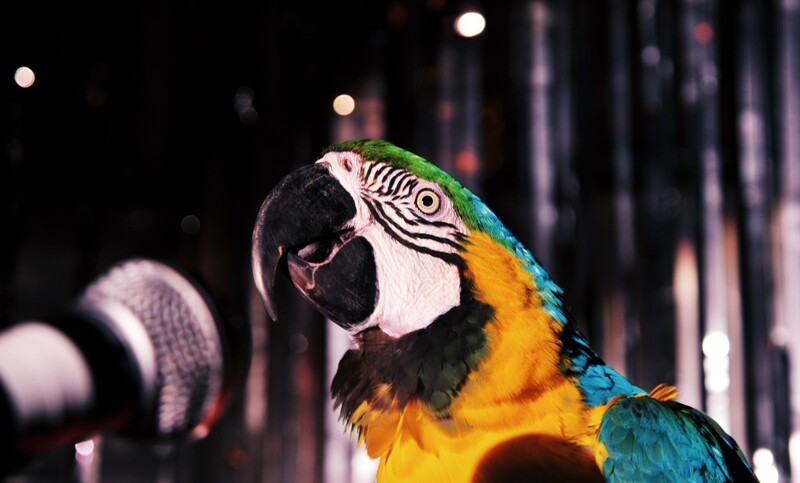 Later we added two four year old girls(accompanied by their mothers), a jazz musician also in his sixties, plus 7 white rabbits and the inimitable Betty the parrot, through an animal acting agency. The process of making Old people, children and animals was much more difficult than we had imagined and looking back the show was a mixed success. We struggled to find material and ended up resorting to formula so that, although perhaps there were some interesting sections, thought-provoking juxtapositions and even the odd beautiful theatrical moment, the piece as a whole was never entirely satisfying. It gave us considerable food for thought about the risks we always take, but have somehow grown used to, in Quarantine’s work. For the performers there were many positives in spite of the difficulties of the process for the creative team. Audiences and critics responded warmly to the warmth and generosity of the show. Created with and performed by: Chloe Baines, Xyla Genovese-King, Bill Glasgow, Brenda Hickey, Maia McCarthy-Dupuy, Norma Raynes, Emma Royle, Sarah Royle, Maureen Stirpe, Kay Titterington. Director Richard Gregory; design Simon Banham; writer Sonia Hughes; choreographer Jane Mason; lighting designer Mike Brookes; sound designer Greg Akehurst; filmmakers Ruth Cross and Michael Clements; production Nick Millar and Greg Akehurst; assistant director Gareth Nicholls; stage manager Caroline Stanton. 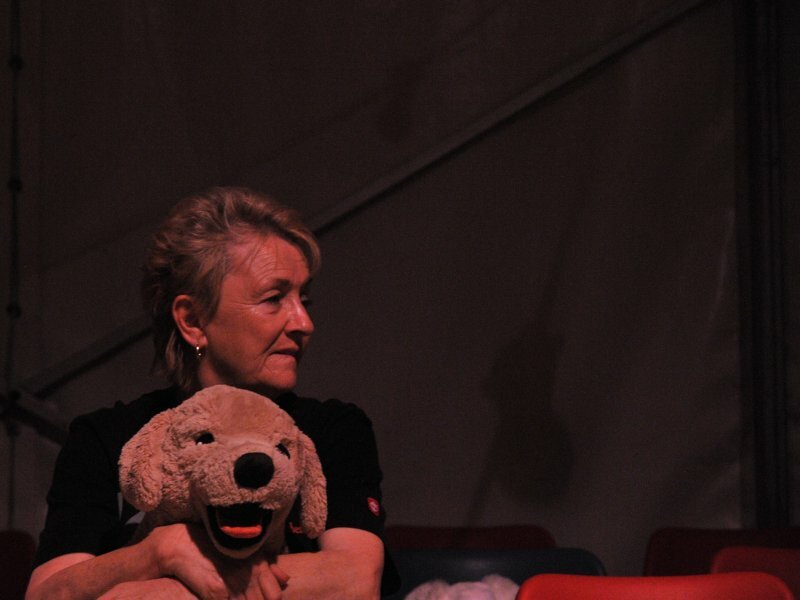 Old people, children and animals was a co-production with Contact and Tramway, supported by Arts Council England, the Lankelly Chase Foundation and the Granada Foundation. 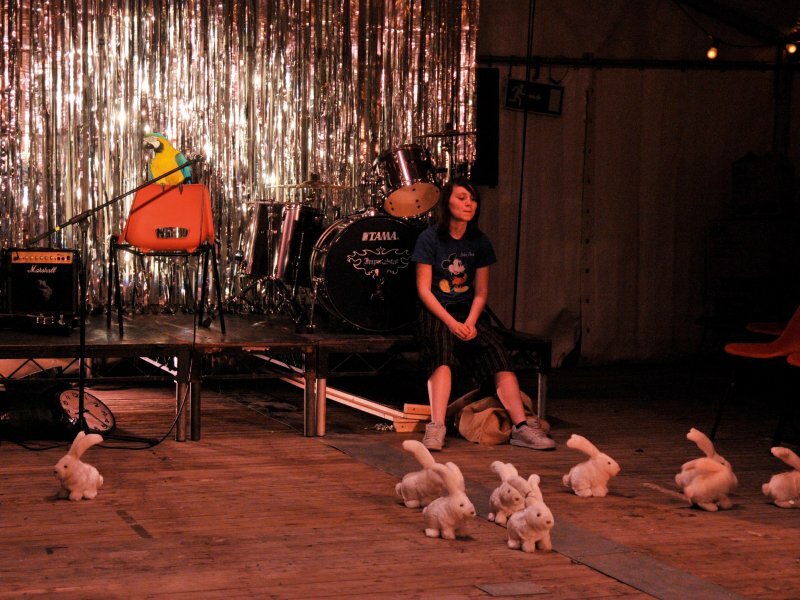 It was performed at Contact in Manchester and Tramway in Glasgow in June 2008.